Phillips in Association with Bacs & Russo is hosting an auction for the world’s most sought after and collectible wristwatch, the Rolex Daytona. Phillips promises the sale in Geneva, Switzerland, on May 12 will offer a selection of the finest, rarest, and best-preserved Rolex Daytona wristwatches known to exist. The announcement comes hot on the heels of a world record price being paid for Paul Newman’s Rolex Daytona, which sold at a Phillips New York auction in October last year for $15.5 million following a global promotional campaign. Paul Newman’s Rolex Daytona that sold in 2017. 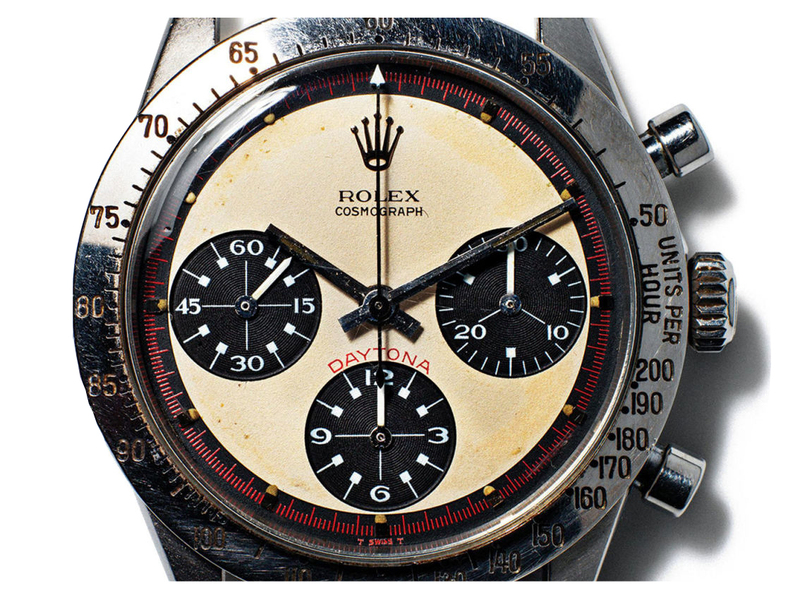 “Launched in 1963 and continually produced to the present day, Rolex’s Cosmograph Daytona is an icon – a legendary chronograph wristwatch that has inspired several generations of watch enthusiasts,” Phillips says. “While few references of the Daytona have been introduced, the flurry of subtle changes seen over the course of five decades captivates the minds of collectors, with very rare and exclusive examples still being discovered today,” the auctioneer adds.